The customized features of your garage door will make it stand out from the rest not just in terms of aesthetics but also in terms of functionality. We understand that with the millennial homeowners of Spring Hill, they have a different set of criteria when choosing the right garage doors for their homes. That is why here at A1 Garage Door Service, we offer the millennial homeowners in Spring Hill with high quality and well-designed garage doors and accessories to suit their unique preferences and lifestyle. Are you looking for an entry keypad to put outside your garage door that will just ask you to enter your PIN to allow you to enter the garage? Are you looking for a smartphone control kit that will let you monitor and control the use of your garage door right from your phone? Are you looking for a rechargeable battery back up so that you can still use all the features of your garage door even if there is an emergency power outage? A1 Garage Door Service has all these accessories for you and a whole lot more. We have safety beams, three-button remote control, security cameras, motion sensing alarms, and decorative embellishments for your garage door. We have an extensive collection of garage door accessories to help you optimize the performance of your garage door and make it suitable for your lifestyle. For the most stylish and functional garage doors in Spring Hill, come and visit our state of the art showroom and be mesmerized by our collection. You have to see it to believe it. For some, a garage door is just a garage door. For some garage doors are all the same. But here at A1 Garage Door Service, you will see that a garage door is more than just a door. It is your home’s armor. It bears your home’s motif. It says a lot about you and your lifestyle. It can make your home stand out from the rest. 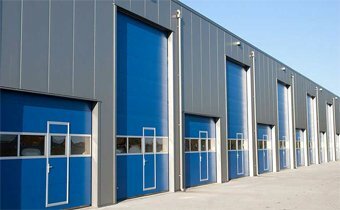 Know more details about the garage doors in our collection by visiting our shop. Our garage door specialists will be more than happy to answer all your inquiries. We will help you choose the right garage door for your home and you will not end up disappointed. And here’s another good news for you. A1 Garage Door Service offers discounts on new garage doors. Hurry and visit us today and get the best deals for your purchase. After buying your new garage door, you can avail of our installation services so that you can have peace of mind that your garage door is working as it should be, all parts and components are in their proper place, and you will also know how to use it appropriately as our garage door specialists will give you instructions and tips on the proper use of your garage door. Call A1 Garage Door Service to have your new garage door installed correctly.